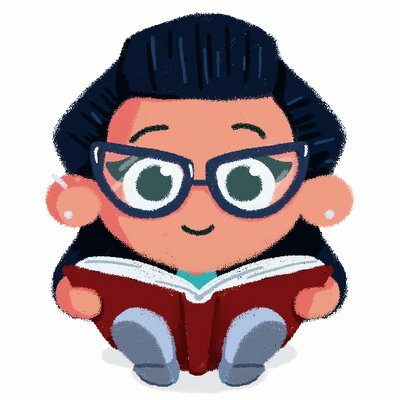 Recently the Federation of Children’s Book Groups approached me to take part in a non-fiction blog tour. Having worked in a children’s library for around 14 years and seen children actively select non-fiction to read for pleasure, and as something I am always banging on about, I of course was keen to join in. 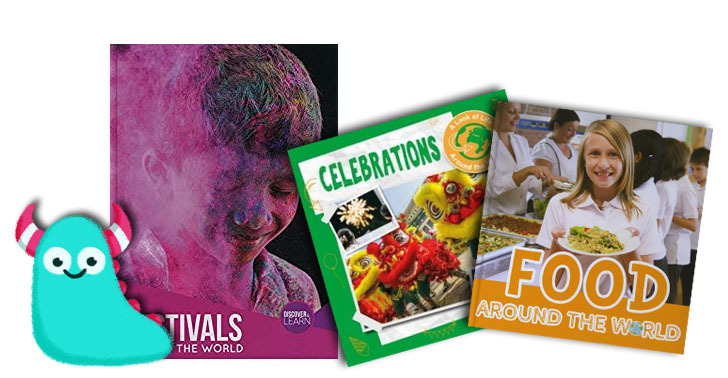 So they sent me three of their chosen non-fiction titles for me to take a look at all based around the theme of festivals and celebrations. So get ready to party with these three non fiction delights all published by Book Life. This is my first pick of the three books and my favourite of them. 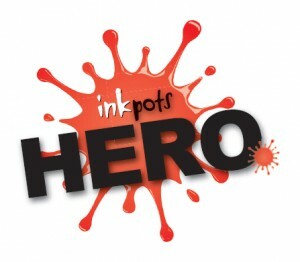 It has a wonderfully striking front cover and a bright modern feel to engage and interest children. 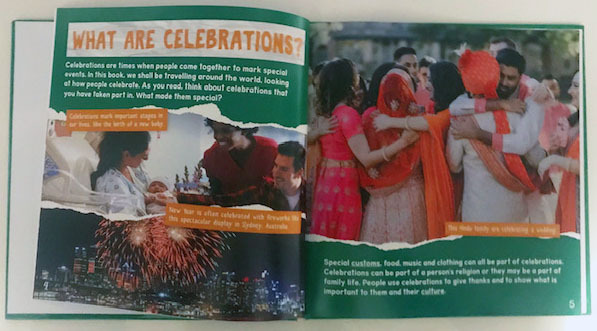 Each double page spread in this book covers a different festival, most of the ones we are familiar with, including Eid, Chinese New Year and Easter. Each section has a different colour theme making it really pleasing on the eye and easy to distinguish between the different celebrations being covered. The book is simple and sparse on text making it ideal for younger researchers to find out exactly what the need and the perfect first project book. 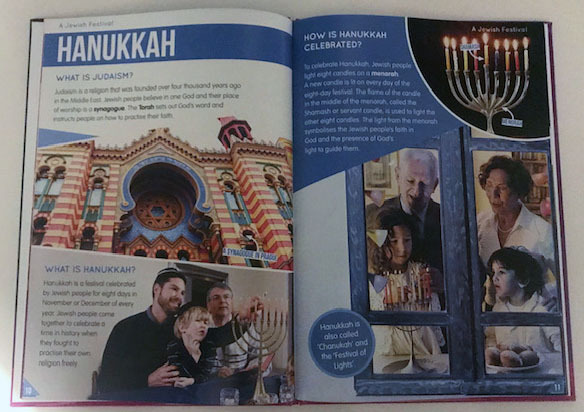 Each section covers multiple aspects of the celebrations such as food, traditions, background history. It’s nice and comprehensive on that front and the ideal first project book. The layout is really fabulous in this one, lots of bright well chosen photographs that make this a visual treat to look at and serve to give weight and interest to the facts provided. All in all a great, fresh modern factual book perfect for schools. 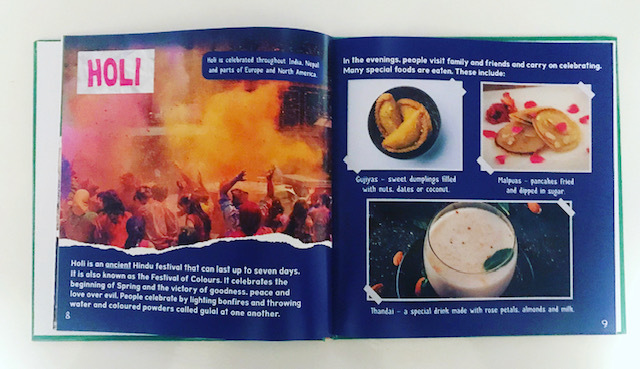 This book about celebrations is a dinky little book which is aimed at an even younger audience. With bright colours and fun facts the lovely aspect of this is it covers some of the more lesser known celebrations. This book is packed with beautiful bright photographs to reflect the written content and add interest, all backed by lovely bright colours to make them pop. It’s a fun reference tool for young children and certainly serves as a brilliant introduction to research techniques, with the layouts of a good reference book (chapters, glossary and index) but in a young, child friendly format. 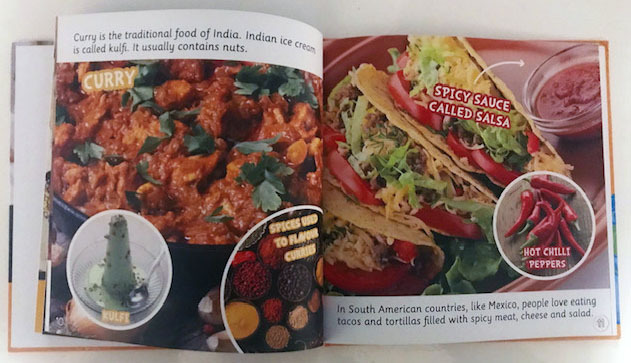 In the same format as Celebrations, this book takes children on a culinary journey around the world. This book covers all sorts of aspects of food from why we eat, different traditional food, festival food, where it comes from and famine. Again like Celebrations it is simply written and formatted to perfectly suit a young audience, and packed with photos of delicious looking food, and other places. It’s bright, engaging and full of educational value. To conclude, non-fiction books serve numerous beneficial purposes from fun reading for pleasure, and of course educational value. I think these three books are certainly more aimed at the latter part of the market, for predominantly education, but they are executed in a way that makes them interesting to read. 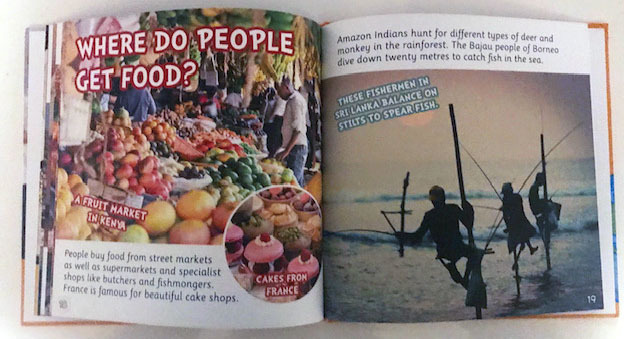 Learning doesn’t feel drab and boring when you have brightly coloured, image heavy books such as these. 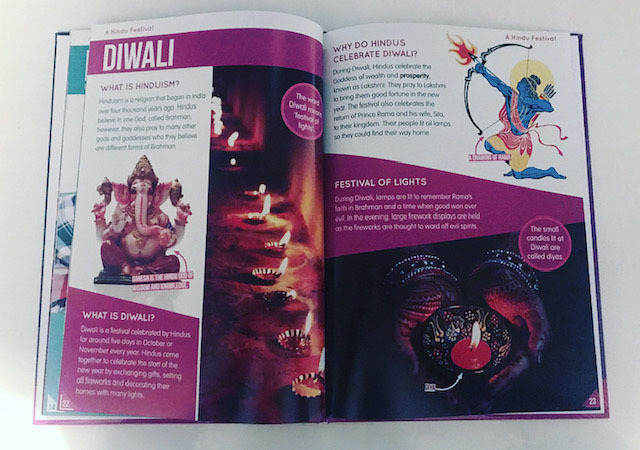 They would be perfectly placed in schools and libraries to support school projects about celebrations, and as a first introduction to other lives and cultures, and on top of this they make brilliant introductions for children learning how to research from books for projects in Primary schools for the first time. The layouts of all three books are impeccable, everything clearly labelled and explained and written very nicely indeed. A fabulous trio for this topic. All three books are available from bookshops and libraries now. Thank you for reading this rather celebratory Book Monster review.